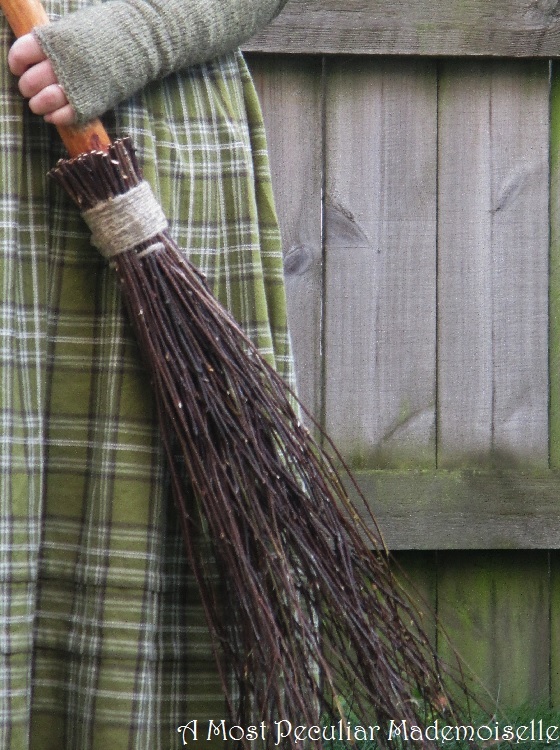 For the longest time I’ve wanted a broomstick of my own – what Harry Potter fan hasn’t? 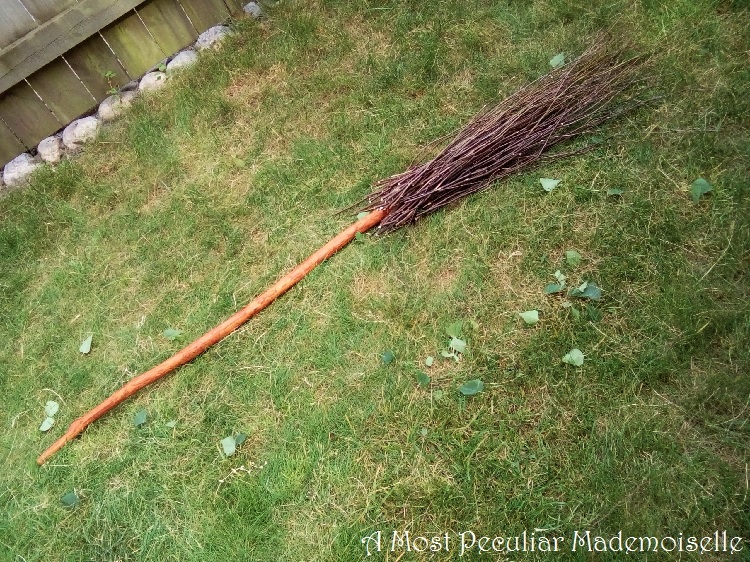 I never ran into the kind I wanted though (except for tolerable looking kid’s Halloween brooms, but unless I got one with the intention that it would be the boys’ toy broom, that would just be silly), so in the end I researched what it would take to make my own. And now I have made one! 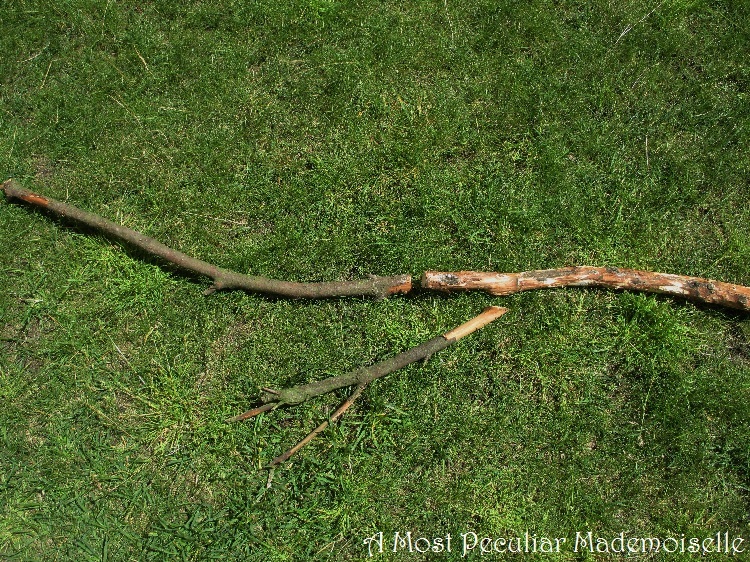 Last spring I found a good sized branch, broken off from a tree at the playground, and thought “perfect”. It wasn’tquite perfect really: it was riddled with worms and such, but apart from that the wood was sound, so I decided I’d use it anyway. When you don’t have forests close by or a car to get you there, you have to accept what’s available. I brought the branch home, removed the bark, sawed off the parts I didn’t want. I smoothed the stick with a knife and then sand paper. I stained it with very strong tea, and I set it aside (indoors) for a few months. For the business end of the broom I collected birch twigs. 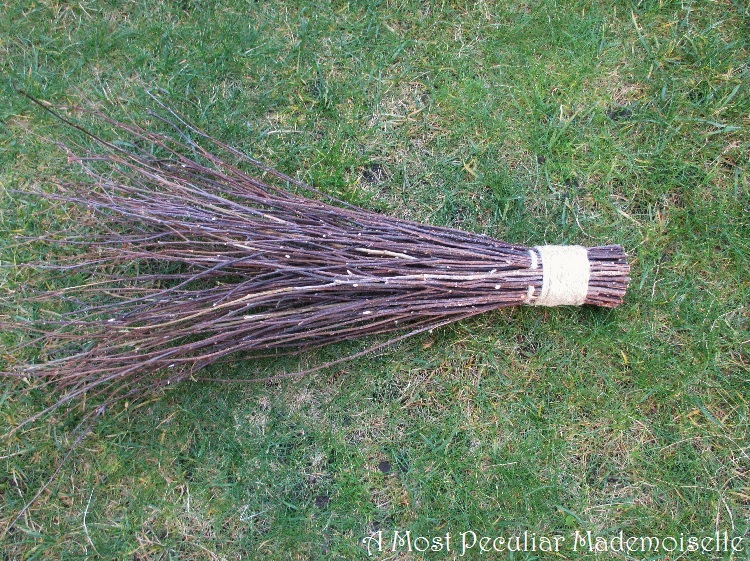 You are really supposed to collect them before the sap rises in spring, but I didn’t look into broom making until much too late, and couldn’t wait until next year to get started. If I make another broom I’ll try to be more forward-looking. Close to our home there is a field that seem to have been in disuse for several years, long enough that young birches have had the time to grow a lot taller than me. I felt that I could take twigs from there without anyone minding. 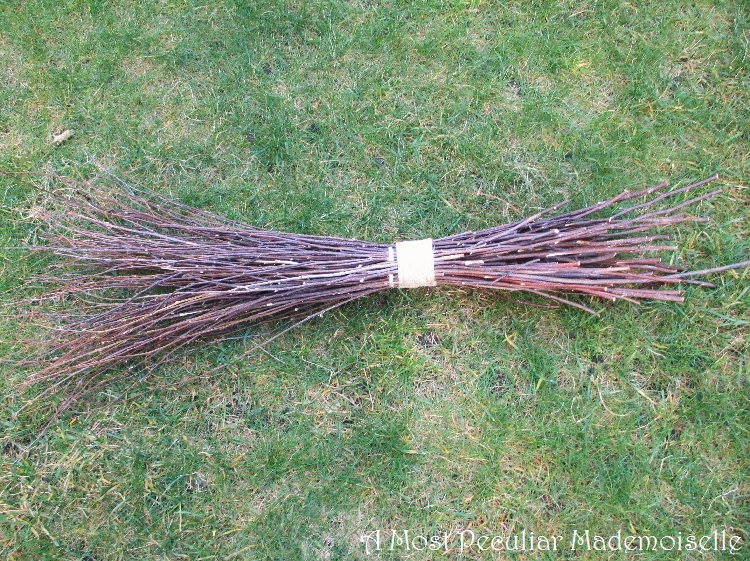 When I was sort of content with what I had collected, I stripped them of leaves and put them in the shed to dry over the summer – but not until I had laid them out loosely together with the stick to get an idea of what the finished broom would look like. A couple of weeks ago I finally assembled the broom. I gathered up the birch twigs one by one, and made them into a tight bundle, where the ends of the twigs ended at about the same length, and when possible pointed inwards rather than outwards: when my hand wasn’t enough to hold the bundle together I strapped a belt round it, and continued to add twigs. When that was done I used hemp rope to tie them together. 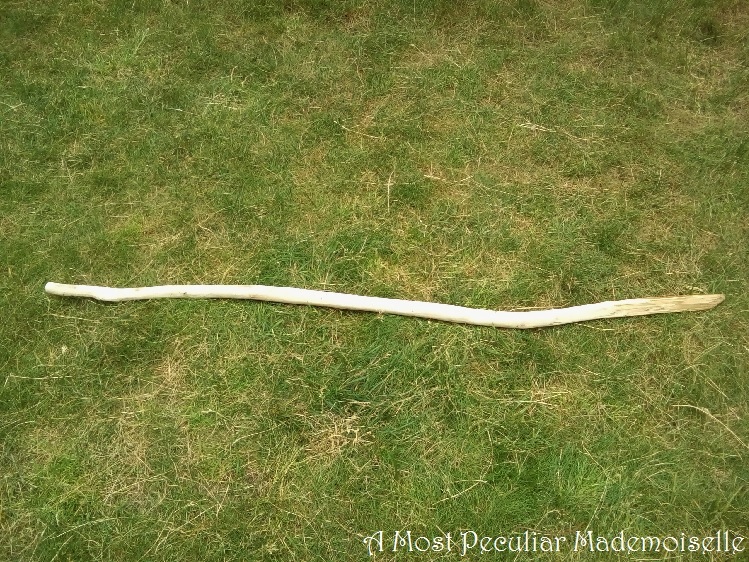 I wrapped the rope round a stick to make a handle – that helped me pull the rope really tight without hurting my hands. I then sawed off the twigs at the top, to make a neat finish. Note to self: if you want a fuller broom, gather lots more twigs than you think you’ll need next time, they shrink as they dry. 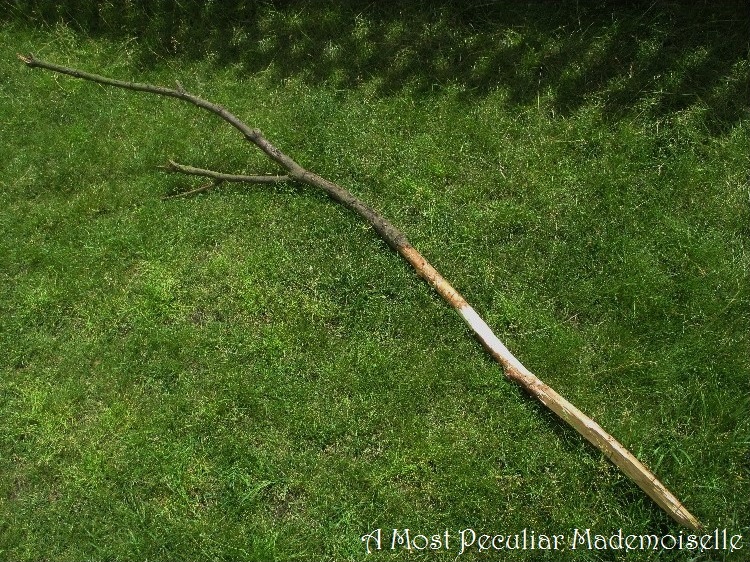 I cut the stick down a bit, as it was too crooked to easily put the bundle of birch twigs on. 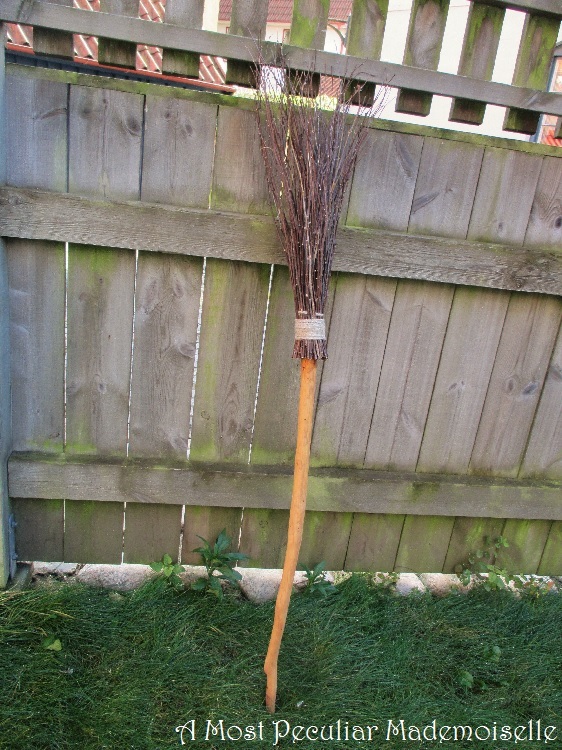 It ended up slightly too short, so maybe we’ll have to pretend it was a broom one of us got as a teen, and as we prefer Floo powder or Apparition to flying anyway, we never really bothered getting a new one. The bottom of the stick was sharpened to a point to make it possible to get it into the tightly bundled up birch twigs. I had to taper the sharpened end even more then in the picture for it to work, but I got there in the end. When both parts of the broom were finished, I put the sharpened end of the stick into the top of the twig bundle. 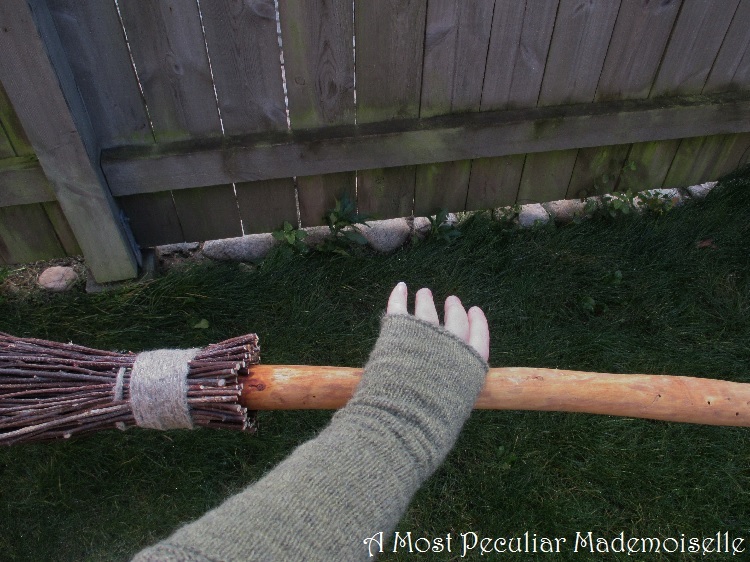 With the broom upside down, holding on to the bundle, I then pounded the broom, handle first, into the ground, driving the handle into the middle of the birch twig bundle. After a while it felt really sturdy and secure. I washed of the surplus tea – somehow I never got round to that before – and that was that, my very first broom! It wasn’t really all that difficult, though of course mine isn’t very pretty, having neither the proper tools nor the experience. It’s certainly not a Nimbus or a Firebolt, but all in all I’m happy with it, especially seeing as I never was very good at working with wood. 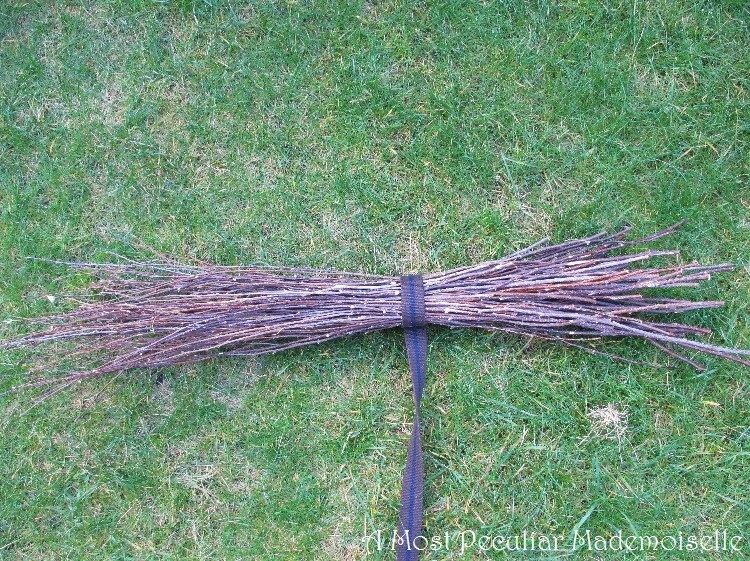 Any of you ever tried making a broom? Or have you got a nice ready-made one? Please share links! Thanks! It was an interesting project. 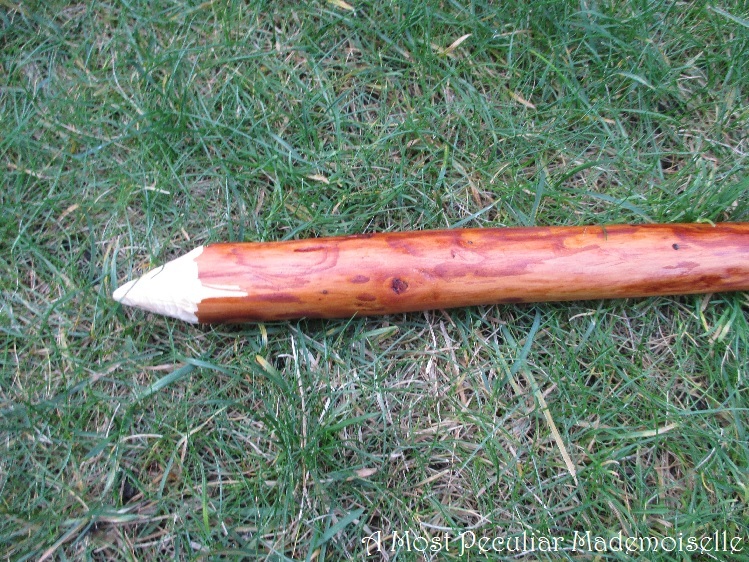 What type of wood is the stick? I have cleared off the majority of bark from something like a green ash branch (much larger than this), and it was not easy, exactly. 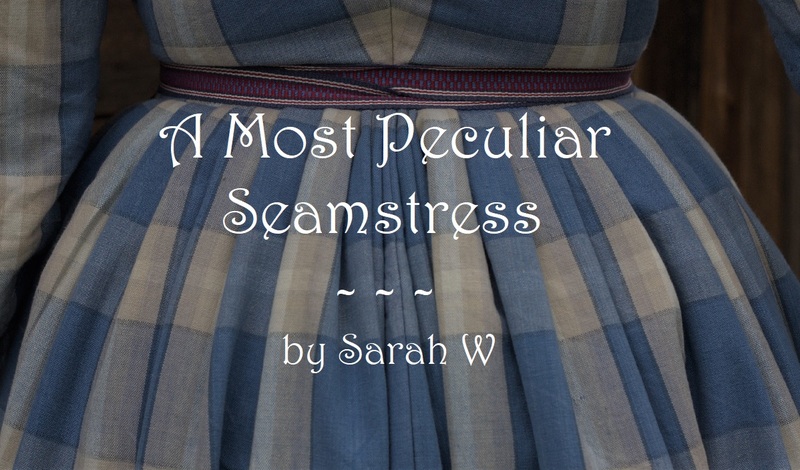 I had to use a hatchet, as it was quite stubborn. That ash is dense. I am not going to make a broomstick, likely, but this was so like what I'm doing that it amuses me. 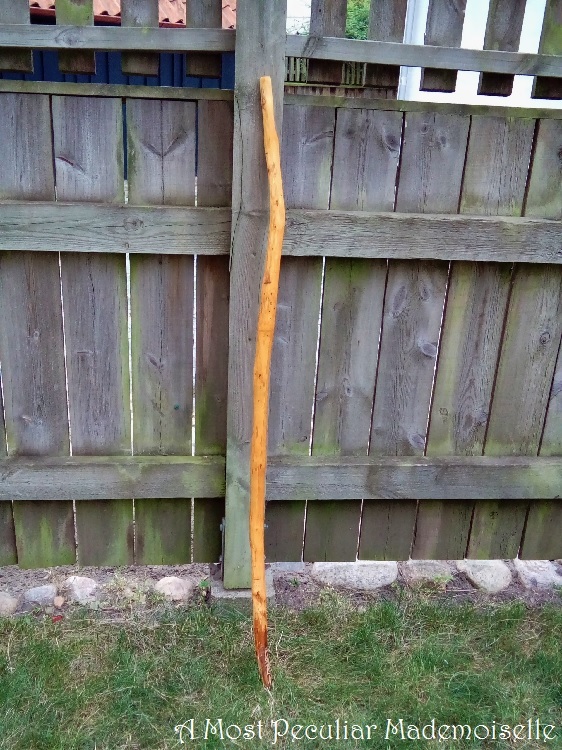 I will have to clear away a great deal of wood to get a stick worth walking with (like Gandalf's staff without the Fancy Top, probably, unless I can get it perfectly even and symmetrical… then it would be his white staff, I suppose, without the fancy top). I don't know what kind of wood it is as I found it on the ground and I'm really ignorant when it comes to telling one kind of wood from another, but judging by the trees that grow in that place it could be apple, plum, cherry, rowan, elder or something I don't know the name of. That's cool! But does it actually clean up? It does all right for leaves and stuff outside, but not enough for the standards of cleanliness one has inside a modern home. Mind, it did turn out a good deal thinner than I'd have liked, with a fuller broom I think it would work much better. Ah, I see. Well, that is helpful. I don't know much about woods yet, but I do want to learn more as there are some wood-related projects I'd like to make in future. I rather wish I'd grown up with such knowledge, so I don't have to randomly, confusingly figure it out from the internet, which is not the perfect way to start such information. I only know (randomly, again) that ash must be a better, denser wood, because I've heard it used for things that need to be tough, like weapons.